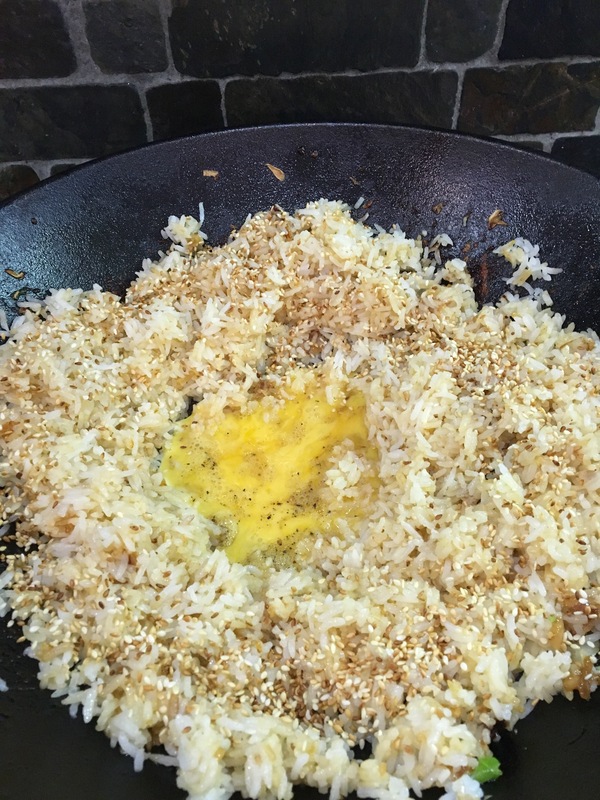 Black skillet fried rice- thats whats cooking! 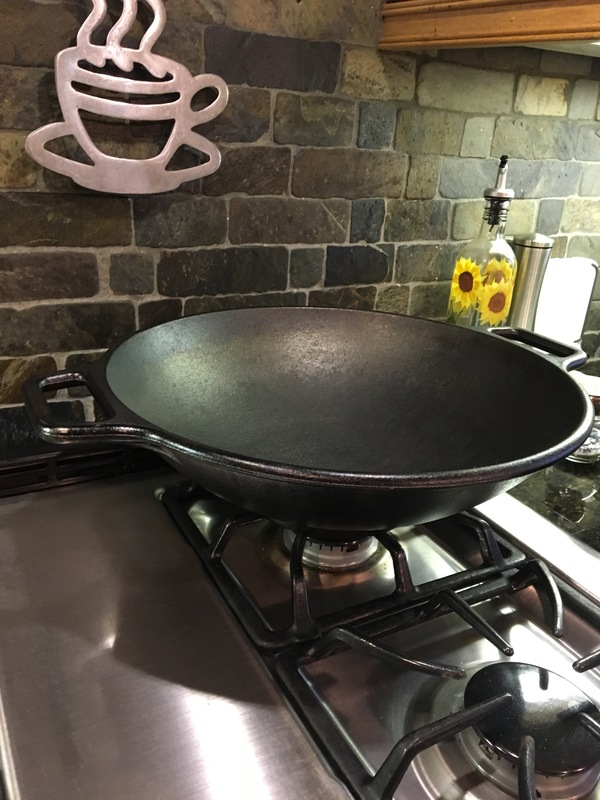 Every kitchen needs a wok. Im blessed with an awesome cast iron version to make this stirfry. Super easy one pan meal that everybody loves. 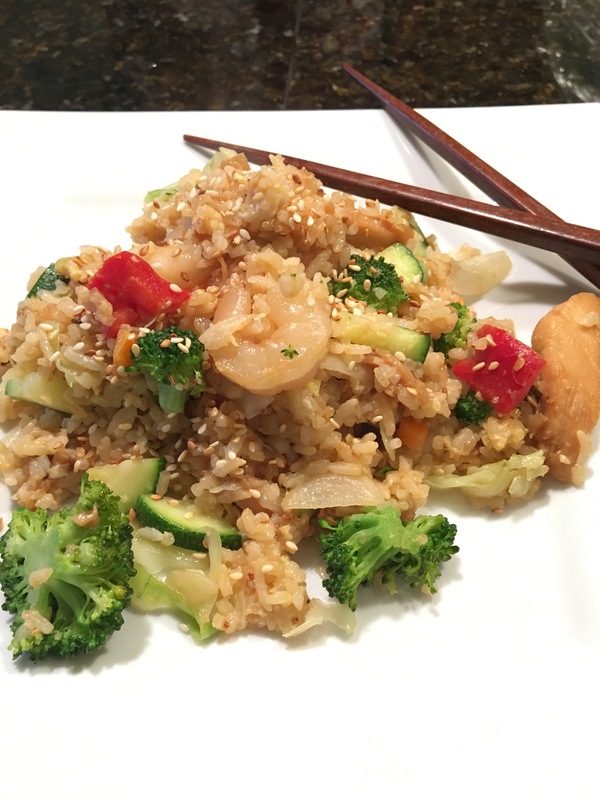 A few fresh veggies, a protein and some soysauce pulls this together. Stirfry is all about prep and a hot skillet. 3-4 cups thin sliced fresh vegetables. 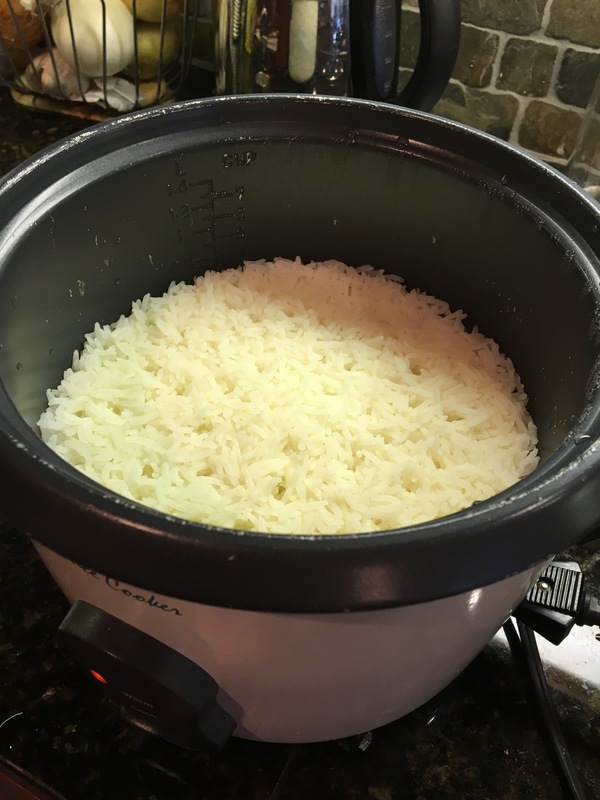 Start your rice so its hot and ready with last step. Hot skillet add two tablespoons oil. 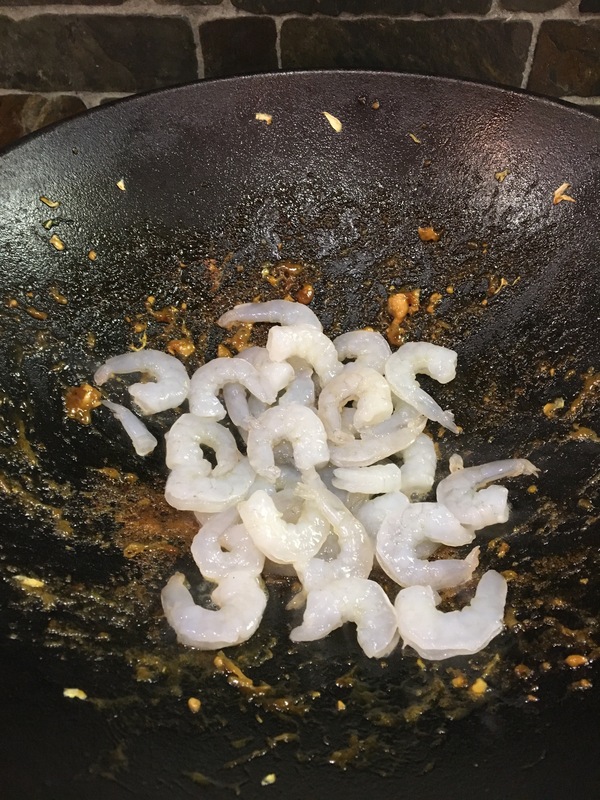 I like seasoned wok oil or canola. Olive oil doesnt get hot enough. 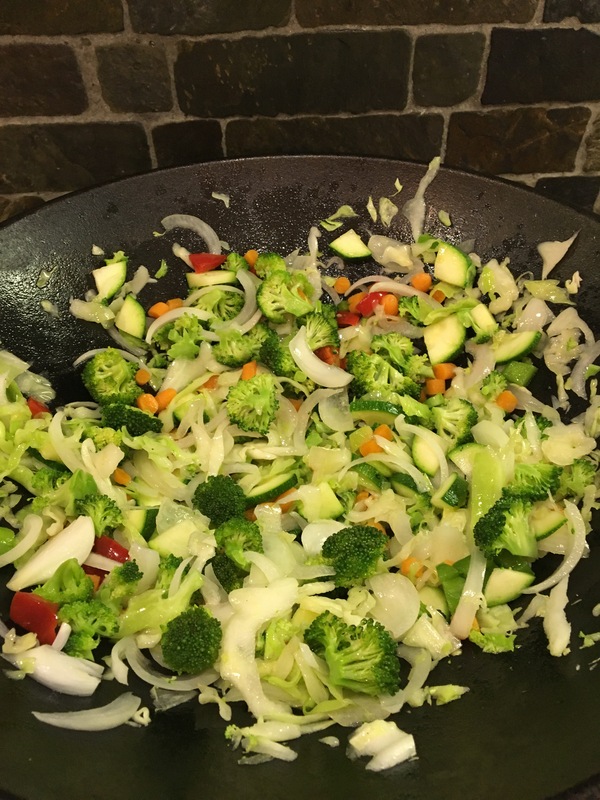 Cook vegitables first til bright color and crisp tender. Put in seperate bowl keep warm. 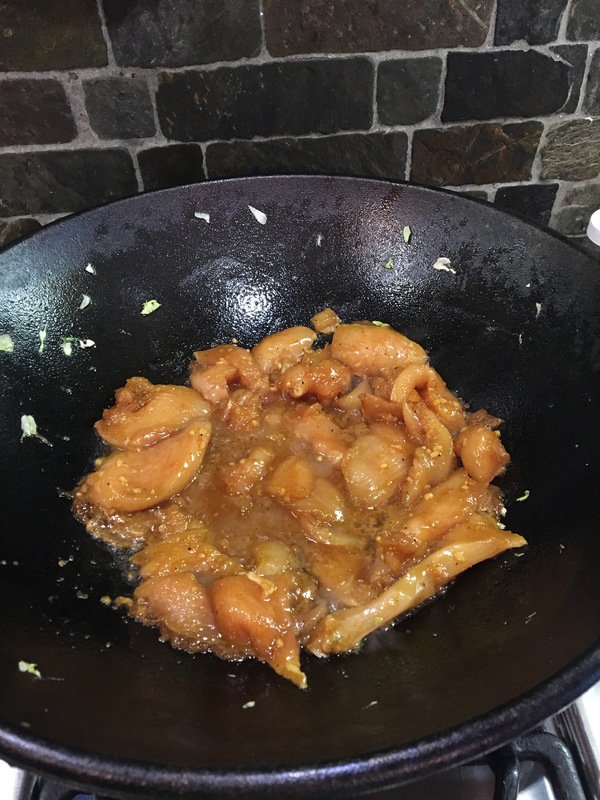 Add a bit more oil to coat pan and add marinated chicken. Cook 5-10 minutes til done. 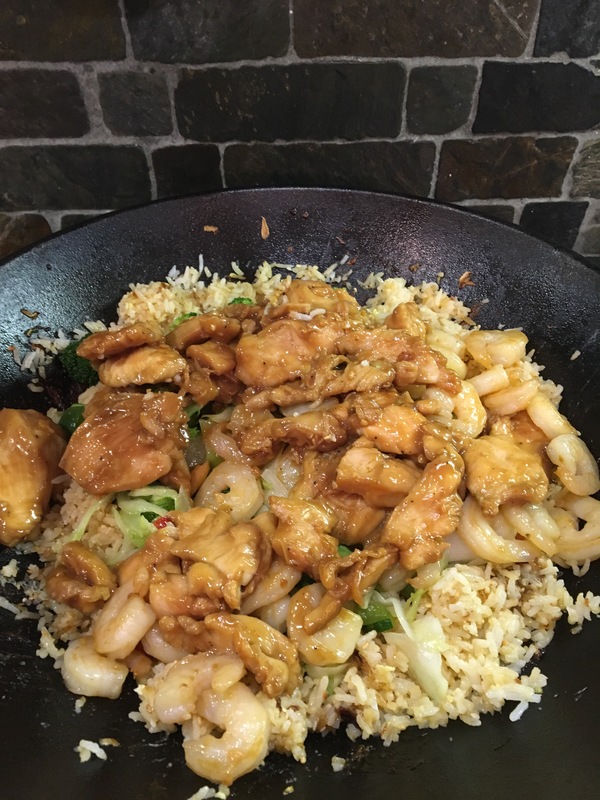 Take out and fast cook shrimp three minutes. Take out. Add a bit more oil add all the cooked rice. Dash soysauce to taste. Make a bowl in middle and add egg. Scramble i to rice working quickly. Add veggies,chicken and shrimp mix thru. Top with toasted seseme seed. Serve 4-6 or three and killer lunch left overs. 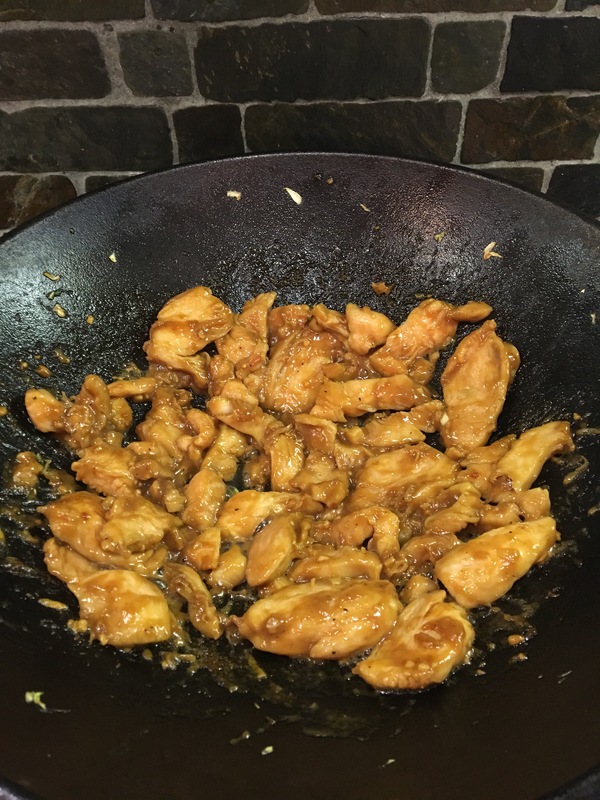 Variation add a tablespoon of peanut butter to the marinade. Thin sliced pork or tofu. Previous postSteamed Artichoke with Garlic Aioli. Teen and Mom Approved. Next postCucumber, heirloom tomato watermelon basil salad. Fresh and amazing. Ahh this looks so delicious! 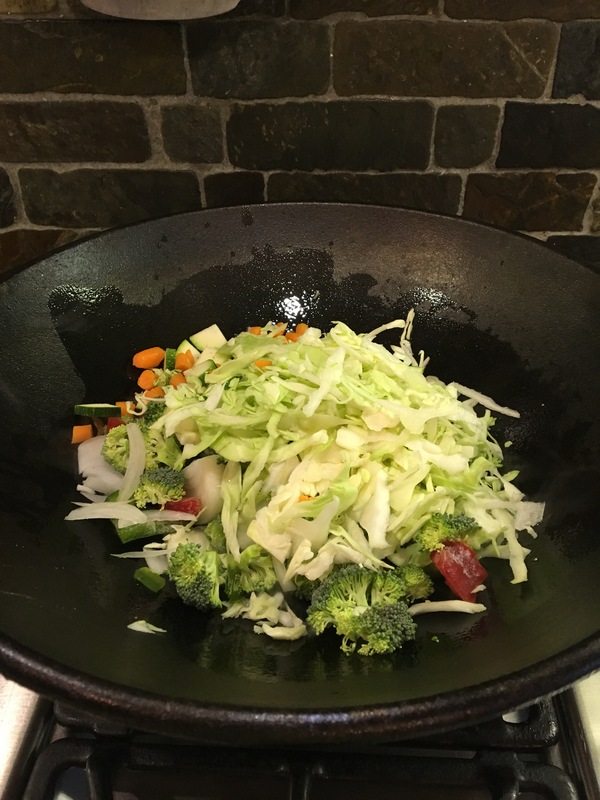 It’s been so great being able to go back previous days on your blog to pick a dinner recipe. Love all the variations of healthy foods!